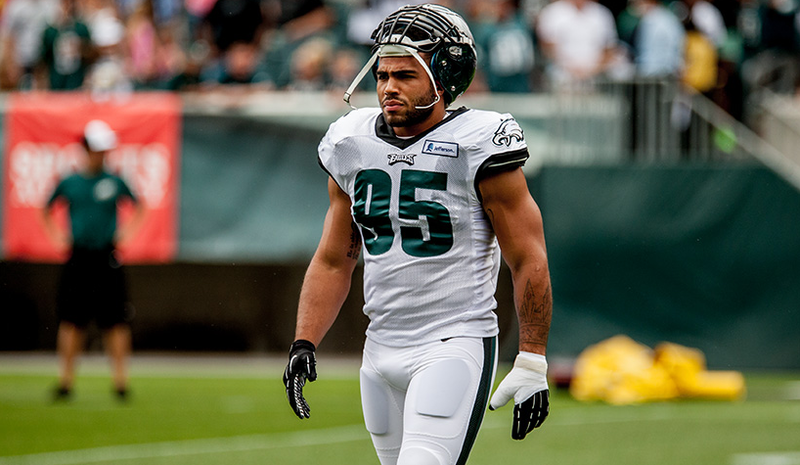 One of the American football linebackers who is a free agent is Mychal Kendricks. He was drafted by the Philadelphia Eagles in the second round of the 2012 NFL Draft. He won Super Bowl LII with the Eagles. 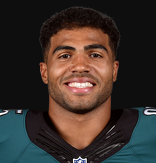 Mychal Kendricks is born on 28 September 1990 at Fresno, California. He was born to Yvonne Thagon and Marvin Kendricks who is a former running back at UCLA who played professionally in the Canadian Football League (CFL). He has a brother named Eric Kendricks and a younger sister named Danielle. He attended the University of California. Kendricks’s height is 1.83 m and weight is 109 kg. He has the healthy body. He started 51 games in which he recorded 259 tackles, 13.5 sacks, four interceptions and a touchdown. In 2011, he was the Pac-12 Defensive Player of the Year after recording 106 tackles, three sacks, and two interceptions. In 2012, The Philadelphia Eagles selected him in the second round of the 2012 NFL Draft. On May 8, 2012, the Philadelphia Eagles signed him to a four-year contract. He finished his rookie season in 2012 with 75 combined tackles, nine pass deflections and a sack in 15 games. In 2013, he finished the season with 106 combined tackles, four pass deflections, four sacks, four fumble recoveries, three interceptions and two forced fumbles in 15 games and 15 starts. In 2014, he finished the season with 83 combined tackles (62 solos), four sacks, and three pass breakups in 12 games and 11 starts. On 24 August 2015, the Philadelphia Eagles signed him to a four-year extension contract. He finished the 2015 season with 86 combined tackles (64 solos), three pass deflections, and three interceptions in 13 games and 13 starts. In 2016, The Philadelphia Eagles selected him in the 2016 NFL Draft. He finished the season with 32 combined tackles (23 solos) and a pass break up in 15 games and eight starts. On October 12, 2017, he recorded a career-high 17 combined tackles. He finished the 2017 regular season with 77 combined tackles (55 solos), six passes defended, and two sacks in 15 games and 13 starts. He was released by the Eagles on 22 May 2018. On 5 June 2018, he signed a one-year contract with the Cleveland Browns. On 29 August 2018, he was released by the Browns after being charged by federal prosecutors with insider trading. Probably, Kendricks is single. But it is reported that the stunning Rayne Connell could be his girlfriend. Kendricks net worth is estimated to be $28 million.